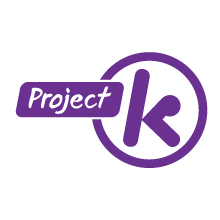 Project K kicks in at a time when young people need it most. Designed for Year 10's, this programme builds confidence, teaches life skills, promotes good health and encourages a positive attitude. Project K impacts on a young person at an instrumental time in their lives. It focuses on building self-confidence, life skills and a healthy lifestyle through an array of outdoor activities, challenges, interaction with other young people and a positive relationship with a mentor. Project K is a 14 month programme for Year 10 students that has three core components; Wilderness Adventure, Community Challenge and Mentoring. Project K has changed many lives around Aotearoa since its inception in 1995. Project K costs approximately $8350 per student per year, but is provided at no charge to the student. Project K is delivered into schools by Community Partners under licence from the Graeme Dingle Foundation.